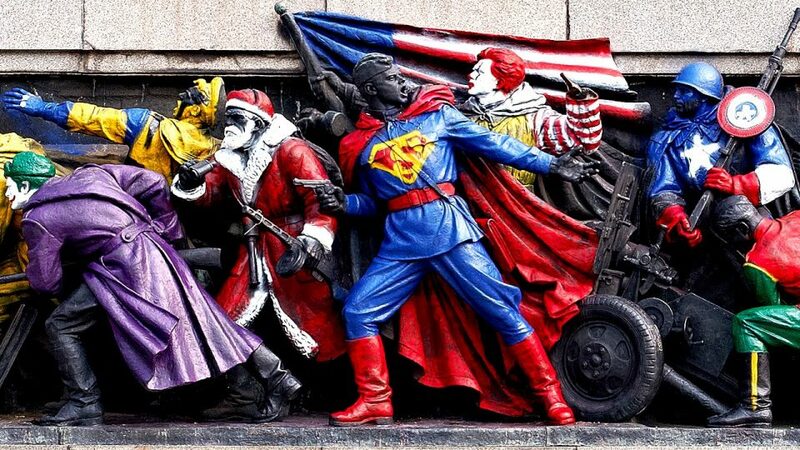 The Russian embassy has taken a hard line in Bulgaria where Soviet monuments have been spray-painted to become iconic American fictional characters from Superman and the Joker to Santa Claus and Ronald McDonald. According to the Moscow Times, Russia has continued to demand that measures be stepped up to clean and protect the statues. They also want Bulgarian authorities to identify and punish the criminals and do more to prevent future attacks. 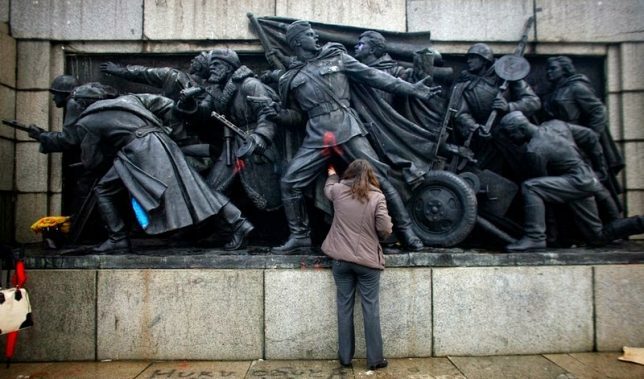 The monument at the center of the controversy was sprayed with red paint around the anniversary of the Bulgarian Socialist Party, but some artists have had other ideas over the years as well. 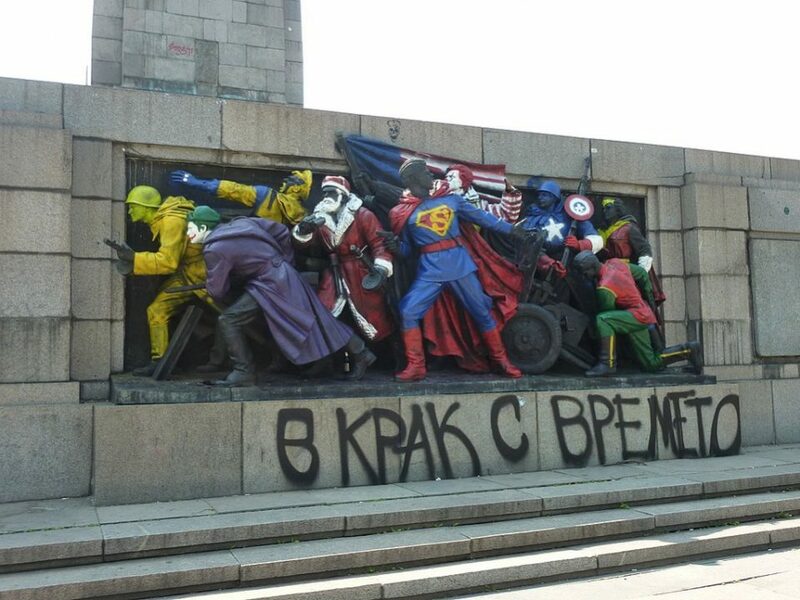 Previously, this same monument in Sofia was painted bright pink to recall the Prague Spring — it later got covered in Ukrainian colors to show solidarity. They have been covered with masks as well. Of course, this is all a bit excessive in context — these are memorials to a defunct regime and situated in a foreign country over which Russia has no control. One solution would be to simply remove them from public view, as has happened in other countries over the years, but, in the end, it’s up to Bulgaria, not Russia.